We released a press release this morning that describes eVision’s site design methodology called Conversion Point Architecture. eVision offers an advanced site design methodology called Conversion Point Architecture. Although the value of driving traffic to web sites remains high, effective site design that helps ensure visitors turn into leads or sales is just as important. With Conversion Point Architecture, eVision helps organizations optimize and improve their sites’ conversion rates. Conversion Point Architecture can significantly improve a organization’s conversion rate whether it is measured in sales, signups, information delivery or whatever constitutes a “win” on the site. In this article you will learn what makes a great primary nav bar. Our user testing shows that ignoring nav bar guidelines will cost you sales and customers. You cannot create a good user experience without a good nav bar. The nav bar plays an essential role in creating good first impressions and setting site expectations. New visitors will scan the primary nav bar when they first arrive on your site home page. When nav bar link labels are confusing, or important visual cues are missing, visitors are less likely to engage. If visitors have only come for a quick comparative look, confusion equals exits. Most nav bars typically violate one or more basic usability guidelines. It is easier to build a good nav bar on a new site then to repair a poor one on an existing site. If you are considering a major redesign, assemble all your usability guidelines including these before starting the project. You wouldn’t fail to understand safety codes before building a house; it’s no different with a web site. Before deciding whether you should locate your primary nav bar on the top, left or right of your pages and how the nav bar submenus will work, first consider the basic characteristics of a good primary nav bar. Use recognizable link labels which set a clear and accurate expectation for the page content. Be in a consistent location on every page. Provide visual cues that tell you what page you are on, where your cursor is and what pages you have visited. Avoid active links which only refresh the page you are on. On existing sites you are trying to improve it will be easiest to make changes to comply with the first two guidelines, so address them first. Guideline 3 and especially 4 will require some tedious page by page revisions for an existing site. In a new site design, compliance shouldn’t add time to the project. Let’s review each guideline above in more detail. Examples of simple, recognizable labels which set clear expectations include: About Us, Contact Us, Home, Products, Services, FAQs, and Testimonials. Our sample nav bar below immediately tells you a great many things about this site from only a 3 second glance. These nav bar labels successfully tell the visitor that the site content will be easy to explore. Alt tags and submenus may provide further details but it is risky to count on these hidden elements; you need simple, clear, unambiguous terms in your primary nav bar. Graphical nav bar links need alt tags for visually challenged viewers. Alt tags should include the nav bar link label, but it is best to expand on the content with a few additional key words. Nav Bar link labels such as Great Stuff, Point, XYZ Fittings, Advertising, Free and Joe’s Picks, raise more questions than they answer. When we ask users to describe what these pages are likely to contain, we hear a wide variety of responses. This is not what a nav bar should do. Also avoid cute labels such, Mystery Deals or Special Bonus designed to “intrigue” people to click; they seem only to annoy the people in our user tests. People may click but they do so begrudgingly and may then feel less motivated to buy. This is simple. The nav bar should be in the same place on every page and should always include a link to the home page. Most but not all sites meet this guideline. Do not assume that a practice which works for a very well established and already highly trusted brand like Amazon will also work for you. Keeping the nav bar in a consistent location and clearly visible reduces anxiety and confusion and makes the site more flexible in meeting the visitor’s needs. If you offer a web service which may engage users for extended periods of time on one page (webinars or online courseware comes to mind) it is permissible to hide the nav bar and header with a show/hide option to deliver a full screen experience. 3. Provide visual cues that tell you what page you are on, where your cursor is and what pages you have visited. In the example below, the Nav Bar gives a clear visual cue to show you which page you are on, where your mouse is currently pointing and which pages you have visited earlier. This visitor is now on the Overview page within in the Services Section. With this clear cue, the page needs no bread crumbs You will never feel lost with good visual cues. In the above example, if you were to move the cursor over Testimonials, it should take on a “you are here cue” (which could be, for example, a different color or reverse video). Also the Testimonials submenu is will soon display, replacing the Services submenu for as long as your cursor remains on Testimonials. As soon as the cursor leaves the Testimonials tab, the Services submenu reappears since it was only hidden momentarily by the cursor movement to Testimonials. The Services tab remains highlighted while in this section, until you click on another tab. This example displays visual cues to show that you have visited the Contact Us page (the text color changes from blue to purple). After leaving the Overview page that link will change to follow the same convention. Typically visited links will display in a slightly different color, to differentiate them from the unvisited page links. Note: some browsers allow visitors to set their own options for showing visited links in a settings form. It is common for visitors to make several site visits and for some time period to pass before making a purchase. When you show visited links, returning visitors feel “welcomed back” and know where they’ve already been on the site. Visited link cues ensure that they can easily find their way back to relevant information. 4. Avoid active links which only refresh the page you are on. The links for the page you are currently on should be inactive and provide a cue that they are inactive. This indicates which page you are currently on. For example, any home page links should be inactive when the visitor is already on the home page. When we first adopted this guideline years ago, we did so because pages loaded slowly and it was especially annoying to click on a self-refreshing link only to wait 10 seconds just to redisplay the page. Self-referential links still waste time but nowadays there is evidence that self-referential links also confuse your traffic analytics by increasing page view counts, distorting page duration times and more. Rather than struggle to adjust your analytics, the better choice is to comply with this guideline and avoid the problem. Self-referential links are time consuming to correct on an existing site so you may you choose to live with them for now but ensure that any new design complies with this guideline. Nav Bar Graphics – Look and Feel. As long as your nav bar meets the four guidelines above, it will be usable. Feel free to experiment with creative graphic effects but always test with representative users. A UX consultant is responsible for insuring a good user experience but graphic designers need the flexibility to insure compliance with branding elements and corporate style guides when building the look and feel of a nav bar. We do not want all nav bars to be identical. Ensure that the text is clear and readable. Dark text on light background is more readable. Link “hot spots” must be large enough to easily keep the cursor over links. It is annoying when the submenu links disappear when the cursor strays the slightest bit so be sure to test the worst case scenario – a laptop without a mouse. What Kind of Nav Bar and Where? Our personal preference is to locate primary nav bars at the top of the page when possible but we are more concerned about how it works and what it says than where it is. The choice of vertical or horizontal submenus is driven by the number of second level choices. With less then approximately 6 second level choices, you can choose either vertical or horizontal submenus. More than 6 second level choices require a vertical submenu. We would not mix vertical and horizontal submenus from the same primary nav bar for aesthetic reasons and because any kind of inconsistency tends to confuse users. If you choose to locate your primary nav bar at the top of the page, horizontal submenus are good because they don’t hide site content and can stay in place to provide the visual cues to which page you are currently on as well as make other links at the same level readily available. Vertical Submenu Behaviors – Left or right side primary nav bars (we prefer left) work best with vertical submenus which can expand or contract as you hover over the primary nav bar link. Bread crumbs are an acceptable visual cue for complex sites with vertical submenus which must disappear after selection from them. Bread crumb guidelines will be discussed in a later article on “navigation elements outside of the nav bar”; they do have a valuable role in certain circumstances. How to Test Your Nav Bar. Whatever choices are made, they should always be subject to user testing. Test early before extensive coding is done. For a quick user test of your nav bar, sit a new visitor your home page for 10 seconds and then read them each term in the primary nav bar asking them to describe what they would expect to find on each second level page. Are they clear on what each term means? Are their expectations for page content on target? Can they suggest better terms? Next, bring the home page back up and give them the task of finding a specific product/service. Ask them to share their thoughts and reactions out loud while you carefully watch their behavior for signs of confusion including back button clicks, resorting to ‘search” or the site map, or frustration. At no time should you offer any verbal prompts to help them complete the task. Consider testing seniors or teens if they are part of your market as well. Can they find what they need? Is it the fault of the nav bar, your information architecture or something else? This is only the most basic of user tests but testing just 5 users will show you the effectiveness of your nav bar (and much more). For more testing instructions, read Zero Budget User Testing. Begin now to plan out your nav bar improvements but before making wholesale site changes, be sure to read the upcoming navigation articles on Information Architecture and Non Nav Bar Elements,. Improving the UX by building a good nav bar will not earn rave reviews from your visitors; in fact most won’t even notice it but you will see it in the bottom line. Ensure that your new visitors become repeat customers with a great UX starting at the nav bar. Increase Business From Your Web Site! Dr. Deborah J. Mayhew was one of the early pioneers (early 1980’s) in the emerging field of software usability engineering, and since 1986 has been offering a wide variety of user experience services on a consulting basis. Clients have included IBM, AT&T, Hewlett-Packard, Ford Motor Co., American Express, Apple, American Airlines, The New York City Police Department, Cisco Systems, the IRS, The World Bank and many others. In the last decade of her 25+ years in the field, her work has focused primarily on web sites and web-enabled applications. Dr. Mayhew’s expertise lies in insuring that the total user experience of a web site or application includes ease of learning and ease of use. Whereas search engine optimization (SEO) and advertising expertise insure that traffic will arrive at a web site, and Conversion Point Architecture insures that visitors will be inspired to contribute to site conversion goals, ease of learning and use expertise contributes to conversions by insuring that visitors can complete conversion interactions successfully, with minimal errors and frustration and in minimal time. This in turn minimizes bounce rates and customer service contacts. Dr. Mayhew holds a B.A. in Psychology from Brown University, an M.A. in Experimental Psychology from the University of Denver and a Ph.D. in Cognitive Psychology from Tufts University. Dr. Mayhew has authored or co-authored four books on topics in usability engineering, and has contributed chapters to many other books in the field. One of her most popular and widely used books is The Usability Engineering Lifecycle. Another is Cost-Justifying Usability, co-edited with Randolph G. Bias, first published in 1994 and then completely updated in 2005 to reflect the internet age. Dr. Mayhew is a frequent speaker at professional conferences. eVision has been selected by Goldline Research as one of The Most Dependable™ Web Designers of The Northeast for 2008. The list of The Most Dependable™ Web Designers of The Northeast is scheduled to be published in the June 1st issue of Entrepreneur Magazine. eVision was chosen in this region to receive this prestigious award. Goldline Research undertakes an extensive, in-depth research process to review all qualified applicants in a respective area. Its consumer-centric evaluation method is specifically tailored to evaluate firms for how well they service their clients’ needs. The proprietary research process we use includes individual company interviews and quantitative analysis of key company data, as well as customer reference checks to confirm exceptional levels of customer service. Those companies that ultimately earn Goldline Research’s Most Dependable™ designation show that they have the characteristics that are essential for continued success and leadership within their industry. 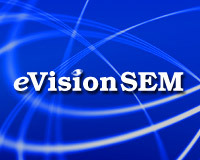 eVision focuses on designing web sites that turn visitors into business for our clients. We’re honored to be selected as one of the Ten Most Dependable™ Web Designers of the Northeast since this award depended on positive testimonials from our clients who have benefited from our Conversion Point Architecture web site design process. We use our proprietary Conversion Point Architecture process to design user focused, search-engine friendly web sites that convert visitors into sign ups, inquiries, leads, and new business. Conversion Point Architecture is a proven combination of art and science drawing from many fields including psychology, the usability field, web-buying behavior research and web technology and typically includes usability/conversion rate evaluations, target audience analysis, defining site objectives, user testing, advanced site analytics, complete content reviews, site architecture design, and site development. Typically web site design starts with the home page, laboring over the look and feel. As designers wait for content, the site is built following standard formulas and the goal of selling a product or service often becomes secondary. Deadlines are often missed between the unpredictability of the creative process and the struggle to gather content. The creative process is always unpredictable at best anyway whether you are writing code or painting a portrait. However we believe that most of the delays in web site design are content related, which is typically the weakest point of the site designers skills. By carefully orchestrating the content, sales path and site architecture before code is written, we relieve the designers of the need to develop content thus accelerating the design process. Otherwise as artificial deadlines pass, the management command usually becomes an exasperated: “Get the site up and fix it later!” Rarely is the essential testing or refinement process completed as everyone feels less enthusiastic about the site and instead of smiles, there is often finger pointing. We developed and recommend a completely opposite path to this design model. We call it Conversion Point Architecture . This model is based upon our usability and conversion experience and places primary design focus on the sale or conversion, regardless of whether you are selling a product or a service. This approach helps sites launch faster and score higher conversion rates right out of the box. It begins at the “goal posts” not at the home page. We focus first on what is the site/business objective(s)! After all, what else really matters? Sites rarely win awards for beauty but they are all measured by their success. We trust that a good designer will provide us an attractive site but in my experience far too many conversion decisions are left to the designers. Chasing clients for content is typically the designer’s least favorite job. Ask any designer how long it would take to build a 20 page site when the site architecture and page elements, including text are completely in place. On the other hand, when designers are responsible for assembling content the time to build is either much longer or they are unable to make a firm commitment. This additional time translates to higher cost on the design side and lost opportunity for sales until the site is launched. Designers are rarely conversion experts. Begin the design process with an extensive client interview to understand the business, its goals and the prospective customer groups. Focus on identifying the final site objective(s), forget starting at the home page. Our interview format typically covers everything from analyzing the current site experience and frustrations to a thorough psychological understanding of their client(s) persona. Focus primarily on what they sell, how they currently sell it, and what people like and dislike about the product and the current web site (if one exists). Brainstorm a list of everything a customer would need to know to be comfortable making a purchase. It may not all eventually make the site but if selling a house for example, include everything from area school details to landscape plans. I mean everything; take the time to do this right. Ask everyone. If you sell dozens of products, approach this from each product category. If in doubt, we err on the side of too much information. Next organize this information into logical groups, in the example of the house: utilities, town, layout etc. These “information groups” may become pages. You can certainly include one element into several groups. Build in ideas for graphics which are not decoration but actively illustrate products. Look at the sales process, and visualize how customers proceed to the objective; when might each information group arise? Sequence the information groups in a “ladder” which mimics the sales process. , start with this ladder. Confirm how complete your copy is by testing with either experts or prospects. The architecture now begins when we expand the ladder and begin organizing pages from the information groups. Since many of the information groups will be available via text links from even the first or second page in the sales sequence, it may not end up as “linear” as it appears during this organization phase. People actually do shop differently and take more of a “hub and spoke” approach to information gathering on the web but DO NOT overlook the basics such as: do you have credibility, do people need testimonials, do they need price comparisons, what is the warranty and how much does shipping costs, what is your client list etc. Don’t spend time on the text yet, just gather information outlines. Start the page layout as a rough story board. I use Visio as a great tool for both the architecture and page layout but don’t spend more then 10 – 15 minutes per page and hand draw each page (or use Visio). I include placeholders for relevant images. Mark obvious links to other relevant groups. Insure that each page directly relates to the objective. I couldn’t expand on this in this post but what I mean is that each element be it image, headline or body text, must contribute to the sales objective and the call to action on each page must move someone along the sales path. Each page is information, but each page is also a step towards the objective. ALSO good navigation including bread crumbs is necessary since people often need to review earlier info so they can jump back and forth easily. Now we review our understanding of the typical prospect. Can we make assumptions about preferred communication style, interests, motivations or focus? Tools like Myers Briggs and Learning styles research help understand this but the essential element is that most content developers assume that people read and learn the same way that they do. This is natural, but wrong. If you are dealing with a niche market, focus on improving your understanding of their psychological profiles. Sales training courses in the offline world work hard at reading and understanding clients, it can be done online as well. The goal is to create content that speaks in the language of the reader, via the learning style of the reader and focusing on the motivations which most move the reader. Also most people assume their sites speak to the public at large which is also false. By asking, testing and spending time with sales staff you can begin to understand how your clients think and how much narrower your market may actually be. Use this information to refine your communication style, or you can work with us. Either way, every informed step you take will improve your site’s success. Don’t trust me on it though, make sure you keep accurate traffic metrics and you test your assumptions. As an example, when selling a house, which is more important, the investment value or neighborhood schools? We would build a different sales path (ladder sequence) for each of these motivators. Test your assumptions with typical buyers or experts, they don’t have to be active buyers, you can work with friends but try to create the right atmosphere. With the path architected from beginning to end; we build out the architecture/navigation map with standard site elements that users expect like “About Us”, FAQ’s etc. Readers expect certain site elements like these. If you don’t include them, readers get nervous and doubt the professionalism of the site. If you fail to establish credibility for example, you have no chance of a sale. This is not the time to explore new creative presentation ideas unless you are selling creativity to a receptive market. With your visio or hand drawn site map, add these standard elements to the architecture. Designers are called when content is set and architectural elements are clearly laid out. Discuss look and feel, content delivery and explain how to place the graphics to utilize eye tracking to support key messages. Remember for example the importance of captions. Over 90% of visitors will read a caption below a nice photo (assuming there are only a couple on the page), if you have something essential, find the right photo and use the caption to get your message across. Color choices and images often follow our understandings of the persona groups when considering look and feel. Same thing applies to font and page complexity. Certain groups can only absorb information from a simple uncomplicated page layout. Others want lengthy narratives. Still others will only read bulleted text which back up all assumptions with facts. Discuss this information with your designers and when the look and feel is done, build out the site. Designers deliver best when provided with detailed content and site plans and can focus on visuals. With the right look and feel in place, the “beta” is tested on several prospective clients for: navigational confusion, sales blocks, functional problems like browser compatibility and finally, content problems or unanswered product questions. I can’t stress the importance of this enough. Launch the site, note your metrics. Plan to continually monitor and refine site elements. Set conversion goals and explore new presentations and elements. Test, Refine, Improve. Conversion Point Architecture is building the site with the objectives in mind and insuring that all sales elements are in place and clearly communicated. It is that simple and that complex. Note: I should add that testing paper prototypes and early site iterations is something we support and recommend. We admit that we have not addressed that thoroughly here but we do believe it is a part of proper Conversion Point Architecture. Testing should drive all design processes. Now in our 10th year, eVision has been helping organizations improve results from search marketing and related areas of online promotion while helping our clients improve the conversion rates of their websites. (2) Your Web site needs to become an important part of your business. Converting your Web site into a source of business is what online marketing is all about. It’s imperative to estimate the potential Return on Investment from online marketing projects and campaigns as early as possible, ideally before starting. Without doing this, projects typically fail or stall. Sometimes we find that the potential ROI just isn’t high enough to justify the initial projected costs of the campaign. This can happen for a number of reasons, including low margins, limited territory, the amount and level of competition, etc. When this becomes clear, it makes sense to lower the scope of the project to ensure an early profitable return. However, when the estimated potential ROI is significant, it helps drive the project. For example, when you see that spending a $100,000 on an online marketing project could lead to an additional $1-million-plus in yearly gross profit, it helps keep management’s eye on the ball. Online marketing projects usually require the involvement and cooperation of multiple departments. For example, we might work on changes to product messages or suggestions to optimize pages with the folks in marketing, but then the techs in IT must implement the changes to the site. Because of the cross-functional nature of most online marketing campaigns, it’s critical that top management be committed to oversee these projects as well as to drive them. As the saying goes, “If we can’t measure it, we won’t know if it’s working”. If we can’t measure results reasonably accurately as the project progresses, we won’t know if the project is paying off. That’s why it is important to set-up a process to measure the results of any online marketing project. Crucial to online marketing success is the ability to make changes to your Web site in a timely and efficient manner. At the very least, there will analytics or conversion tracking code to insert in the web pages. Periodically, this code may need to be moved and/or modified. In addition, we’ll likely need to test variations of landing pages and modifications to web pages to improve conversion rates. Sometimes more extensive changes need to be made to the web site to improve conversion rates. And sometimes, a complete website redesign is necessary. Our most successful clients are those that can implement changes to their Web sites within days, so that we can continuously test changes to the site, make adjustments, and systematically improve results. They say a bricks & mortar business needs 3 to 5 years to be successful. On the Internet, it can happen faster, but plan on between 2 and 3 years. Becoming successful in online marketing is staying with it, monitoring the results, making adjustments, and continuing to test and tweak. With timing and a high-degree of cooperation and flexibility, we have seen online companies take off within a year. However, new online marketing ventures and sites that have never been tested before can take longer as you may need to change and test your messages and your offers, fix conversion bottlenecks, or even redesign the site, etc. ROI Calculator Download: Calculate the potential return on investment from improvements in web site conversion rates. Cost Justifying Using a Search Engine Marketing Agency to Run a PPC Campaign: This post was specific to a PPC campaign but there’s a technique that can be adapted to most situations.